As we exercise our great right to vote today, remember that you still can’t vote for trustees of the Westhampton Free Library though our taxes fund its operation. Without a public ballot referendum, without a public town hall input meeting, the seven appointed trustees decided in April to remain an appointed body. Not following in the democratic footsteps of the Port Jefferson Library that went to an elected board in 1990, or Rogers Memorial in 1996, or John Jermain Memorial Library in Sag Harbor in 2004, or Shelter Island in 2011 (to name just a few other Suffolk County association libraries), this appointed board chose to cling to the 1897 Charter establishing our library as a “private corporation” with only the appointed trustees as “voting members” of the association. In 1897 women and blacks weren’t allowed to vote. It’s 2016 and the Westhampton Free Library taxpayers are still not allowed to vote. It’s taxation without representation. We vote for school board members and for Village trustees. We should vote for Library trustees. Other association libraries, either by public insistence or by board choice, moved to a democratically elected board model. 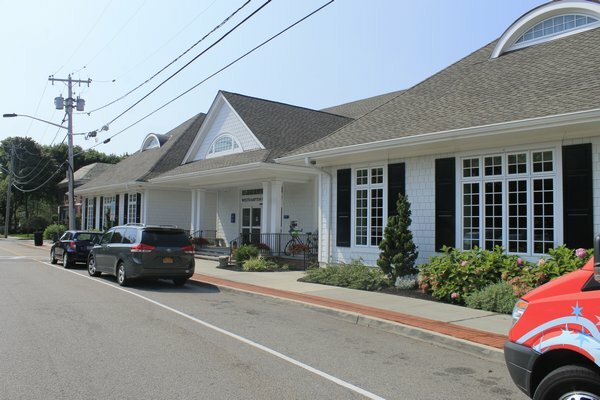 By decree, the Westhampton Library Appointed Board decided alone that they should continue trustee appointments.